I've been struggling to find time to put up a new post. Well, that's just half the truth, if I may be allowed to say so. Actually, I've been neck deep in work, but that does not mean I've not been watching films. But over 15 days I've mostly watched those films which I've already written about. My husband is revealing his new-found love for the classics and both of us have been enjoying them for the past few days. So, that does not leave me with much to write about. I just sit there with him regaling in the old films I'm so fond of, while he discovers why these classics are actually worth celebrating. Sharmilee stars Rakhee in a double role. I'd love to believe that she is superb in both the roles, one a shy mellow young woman, and the other a spontaneous extrovert. But somehow, there are flaws in both these representations. Kanchan is so painfully shy that she is almost dumb. She is breathtaking in terms of looks and dresses up in pretty traditional outfits, fulfills her filial obligations and is the person who anyone can fall in love quite easily. Kamini is effervescent but a tad garrulous. She is naughty, perky and very smart. But at times, she becomes selfish and hurts Kanchan. And the worst part is that she has no qualms doing so. Towards the end she actually becomes villainous and wants all the good things for herself. While Kanchan is ready to sacrifice her life for her sister, Kamini is wicked enough to let her sister get killed to clear the way out. This stark contrast in the two personalities is a bit hard to digest. Kamini initially appears to be just being herself, but soon she reveals her dark side. And I would prefer Rakhee in lovely sarees any day that seeing her in malfitted westerns. What got my goat was the partiality that Ajit bestowed on Kamini, despite Kanchan being a more apt girl to fall in love with. Or maybe, being an army guy, he was more attracted to the loudness that Kamini projected. Ajit is mean to Kanchan despite her being an angel, he accuses her of cheating him purposely when it is writ large on her face that she would never do it. Ajit also angers me when he callously breaks off his engagement with Kanchan when he realises that Kamini is the girl he had met in Kashmir. He does not think twice about the poor girl's heart. And after the marriage takes place he is juvenile in his lambasting her. He keeps ignoring her despite she doing everything to help him out of the gloom. Even more incredible is his volte-face on learning the truth about Kanchan. Isn't it too sudden? Despite all these flaws, I was quite enjoying Sharmilee and its brilliant soundtrack. Till of course the film started meandering into the realms of contrived situations and stupidity. For instance, that underworld plot was so uncalled for. And those long morose situations where Ajit is hallucinating is sheerly boring. What the director could have done is, worked on the relationship between Kanchan and Ajit so that the man seriously recognised the goodness in his wife. That could have just oomphed the romantic quotient. After all, there is nothing better than mush in romances. And given that here are two good-looking young people we are dealing with, things could have been sorted out with much panache. Ajit could have started out hating Kanchan, but seeing how the girl was innocent and really trying to do her best, Ajit could have slowly grown close to her. Kamini needn't have made this sleazy and mean makeover to get to the point. But yes, Sharmilee is not all that bad. After all, you have the lovely songs. SD Burman unleashes his magic in the film. The title track is naughty and buoyant. Khiltey hain gul yahaan is a lovely ghazal picturised on the dashing Shashi Kapoor and the attractive Rakhee. Megha chaye aandhi raat is soft, sensitive and wonderfully sung by Lata Mangeshkar. Then you have Aaj madhosh hua jaaye rey, a happy ditty on love, togetherness and bonding. The best part of Sharmilee is Rakhee. She proves that she is deft at handling different complexities. She is easy as Kamini but as Kanchan she is top notch. 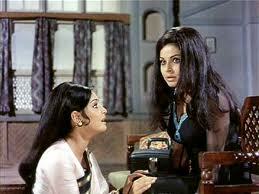 Pretty, sensitive and in command of her emotions, Rakhee makes you sympathise with Kanchan easily. 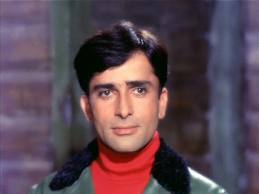 And of course, you have the heartbreakingly handsome Shashi Kapoor. If nothing at all, watch the film for this man. He is such a scene-stealer here, with his bubbly romanticism and his charming smile. I don't know, Sharmi, the very things you disliked are the things that I liked about the movie. I liked the fact that Kamini was originally just the party girl until she fell in with the wrong crowd; that her character deteriorated to the extent where survival became more important than distinguishing right from wrong. I agree that the bits about treason were a little hard to stomach, but on the whole, this was one movie I enjoyed fully for having characters who were human - flawed, but human. (Except Kanchan, who I thought was meant to be a saint, and I kept thinking her halo would slip and strangle her!) 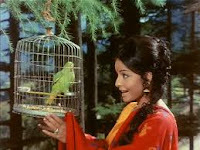 Loved the songs, and the Shashi-Raakhee combination as you did; only think I didn't like? The marked unoriginality of the heroines' names - Kanchan and Kamini - can you get more obvious than that? @Anu: ha ha... see how we all come up with our various interpretations. Even I liked the film. BUt somehow I liked Rakhee as Kanchan more than Kamini. 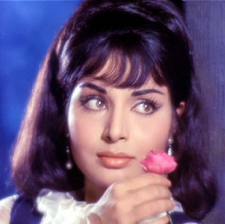 And Shashi was so yummm. ANd of course the songs were great. Your observations are interesting, too. I agree with Anu about this one - it's one of my favourite movies (well, I have to admit I'm anyway a sucker for marriage-of-convenience plots! 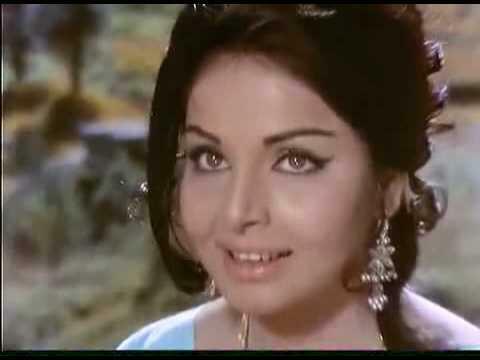 ), and Shashi Kapoor, Rakhee and the great songs just fit together perfectly. So much so, that I don't really mind what happens later. That treason plot element could've been better handled, but then it does provide a good enough reason for Kamini to have vanished so suddenly just before her wedding. And I agree with most of what Sharmi has written, and I also share with DO the liking for 'marriage-of-convenience' plots, and with Anu about the characters being human, though like Sharmi I think his callousness regarding Kanchan was not nice. I quite liked the suspense here. I'm such a sucker for suspense. And the songs are the hughlight, absolutely fabulous. @Pacifist: Yeah i hated it when he treated Kanchan with so much scorn. I felt like just straightening him!! Because afterall Kanchan wasn't a bad girl!! 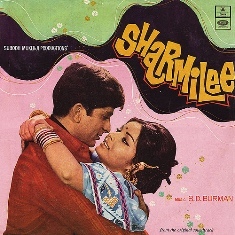 @Sharmi: I totally agree with you that Rakhee is good only sarees but not in malfitted westerns :) I like the songs of Sharmilee but that's about it I think.